Statewide recording of Texas vital records did not begin until 1903. The Texas Department of State Health Services, Texas Vital Statistics Division, maintains copies of all birth and death records, with the originals housed at the county level. Texas birth records are protected for 75 years and Texas death records are protected for 25 years; certified copies are provided only to family members, but verification letters (containing name, date, county and file number) are available to anyone. 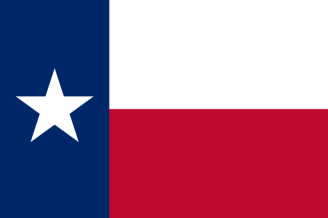 The copies/letters can be requested in person, by mail, or online through TexasOnline, Texas' official eGovernment website. Statewide birth indexes for 1903-1976 are microfilmed at the Texas State Library, and death indexes for 1903-1973; the Library will perform searches. Limited historical records are available at county clerks' offices and are included in the "Early Texas Birth Records, 1838-1878" book. Records dating to 1836 are available through genealogical societies and the Texas State Library. Record Access Requirements: Must have a signed, notarized release from person of record or immediate family member and name and address of requester for records less than 75 years old. Otherwise a Verification of Birth is issued. Search Note: Must send a copy of requester's photo ID or show a photo ID for in-person searches. Record Access Requirements: Must have a signed release from immediate family member and requester's name and current address for records less than 25 years old. Otherwise a Verification of Death is issued. Note: One must include a copy of requesters' photo ID or show a photo ID for in person requests.